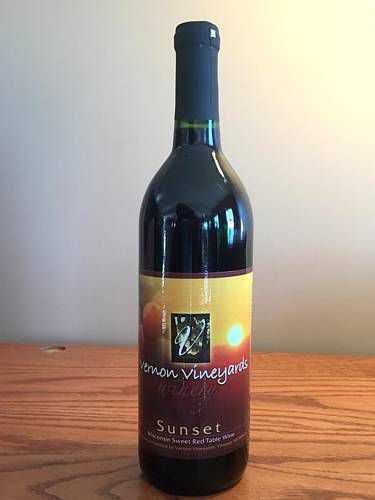 Sweet and bold, Sunset is a very versatile and popular red wine. Enjoy it with a meal, with rich holiday baking (Think ginger cookies or pumpkin cheesecake!) or on its own. Locally grown and produced from Frontenac grapes. An ESTATE wine produced in our winery with grapes from our own vineyard. Serve chilled or at room temperature.